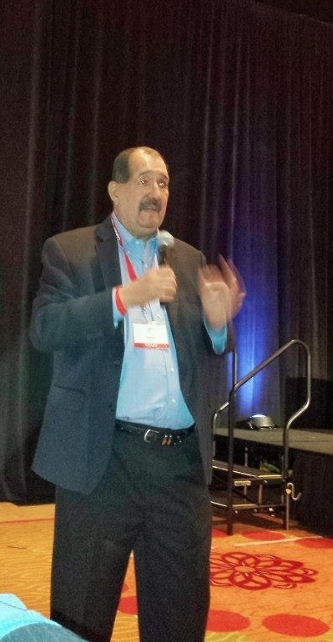 On the 31st of October of 2013, an estimated 700 youth from across the United States and Latin America converged in San Antonio, TX for the 11th Annual National Hispanic Institute (NHI) Celebración event. These leaders came to reflect, ask challenging questions, and discuss the future of our community. As all founding members of OCI Group are alumni of NHI, we were especially happy to be a formal sponsor and supporter of Celebración 2013 and the ideas that are created and shared at this international event. Throughout the year we served as a liaison to the City of San Antonio by helping set up meetings with local leadership to ensure individuals from the community were aware of the significance of what was taking place in the city. Beginning on the first night, Luis González introduced Richard Perez, President and CEO of the Greater San Antonio Chamber of Commerce, who made the formal welcome address to the delegation of students. He also happens to be a NHI parent of a past Great Debate participant. OCI Group sponsored a table at the Celebración Awards Luncheon for alumni, students, educators and community leaders who have made a profound commitment to the cause of NHI. As alumni we were happy to see U.S. Congressman Pete Gallego receive an award, as he has been a longtime supporter of NHI. Immediately following the event, U.S. Congressman Joaquín Castro addressed a group of alumni on the state of our community, and the pivotal role Latinos and specifically the role NHI will play in the future of our country and world. OCI Group has been proud to have discussions with Congressman Castro and Mayor Julián Castro on behalf of NHI, and they have both made a strong commitment to Celebración and the youth of NHI. OCI Group was also happy to contribute a signed Spurs basketball by the 2012-2013 team for the Silent Auction. A special thank you to Mr. Danny Farias and all of our friends at the San Antonio Spurs Sports and Entertainment organization for making this possible. Through our community work with the Spurs organization, they have become a great partner, particularly with the National Hispanic Institute at San Antonio chapter. OCI Group is already looking to Celebración 2014, and whether it stay in San Antonio or not, and we hope it will, we will continue to be a sponsor and supporter of an event that brings together the greatest our community has to offer! Please visit www.nhi-net.org for more information on this amazing organization that has impacted the lives of so many. 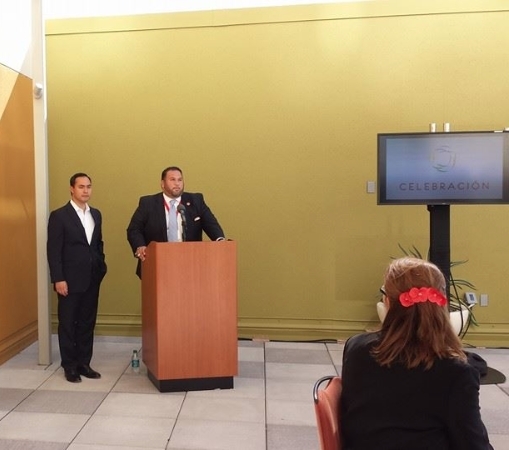 H. Analco González introduces Congressman Joaquín Castro during the Celebración Alumni Event; NHI President and Founder, Dr. Ernesto Nieto, makes opening remarks; OCI Group is recognized with other sponsors of the 2013 Celebración experience; Luis González introduces Guest Speaker, Richard Perez, CEO of the Greater San Antonio Chamber of Commerce.